I spent 18 days in Turkey and an average of $50 per day. The hot air balloon ride increased that average pretty significantly, and I also treated myself to a lot of amazing Turkish food! 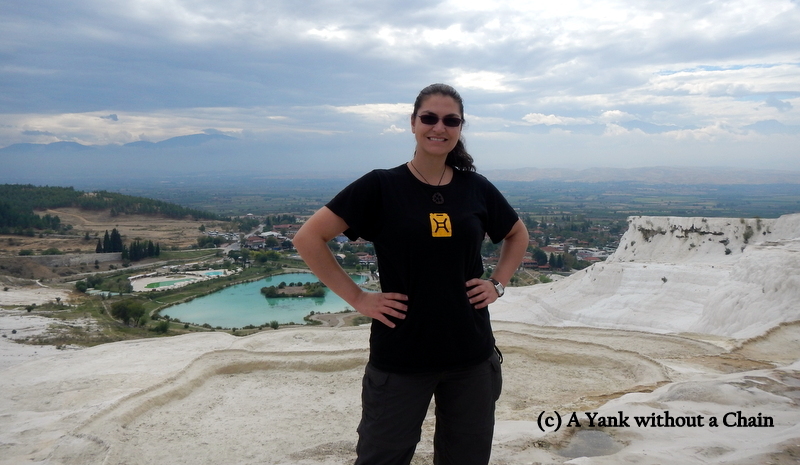 I absolutely loved exploring Cappadocia and kayaking on the Mediterranean. The UNESCO sites of Ephesus and Pamukkale/Hierapolis were also places that I will remember forever. On my final day in Cappadocia I woke up early once again, this time to watch the hot air balloons from the ground and do a hike in Love Valley before my noon bus to Ankara. It was great to get a last view of the incredible scenery. I was sad to leave the area, as I definitely only scratched the surface of things to see and explore there. Alas, my flight to Hong Kong awaited me and it was time to move on from Turkey! 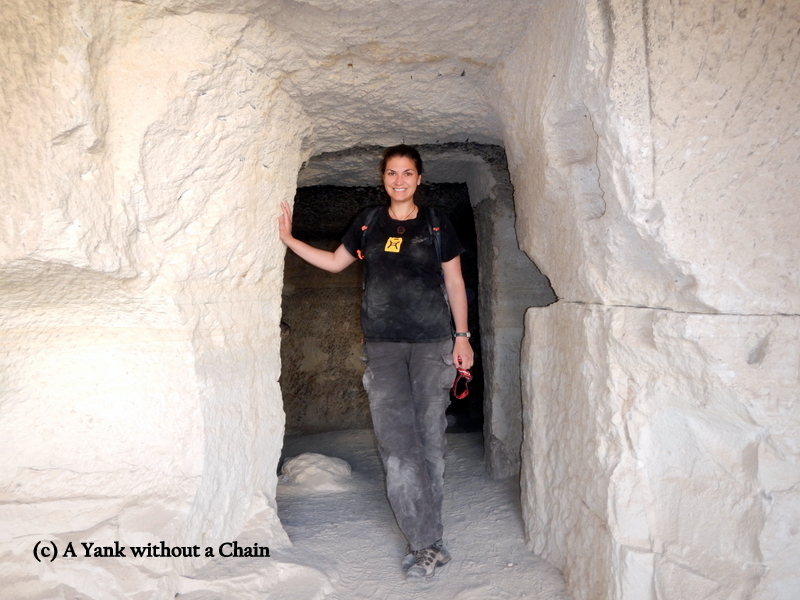 On my third day in Cappadocia I went on the Green Tour, a popular option to get out of the Goreme region and see some of the more far flung sites in area. It doesn’t really matter which tour agency you go with, as the tour will be practically identical with all of them. You shouldn’t pay more than 100 Turkish Lira, though (book directly with the tour agency and not through your hotel). On my second day in the Cappadocia region I wanted to hike around some of the valleys, observe the rock formations close up and get some good exercise. After only an hour of walking around, my day was kind of hijacked by Faruk, the owner of a cafe in the park who passed by me on a motorbike. He stopped and asked where I was going and asked if I wanted a ride. I thought, “sure, why not!” thinking I’d give him a little tip for taking me to the Red Valley and then be on my way. That little ride turned into five hours of Faruk showing me different places, giving me more and more of his homemade wine, and basically refusing to let me go off on my own. It was a bit frustrating, although not quite as creepy as it might sound written out here. I finally split from Faruk when his car ran out of gas on the way to the Love Valley, although at this point it was nearly sunset so I didn’t get to do the hiking I’d wanted to do. 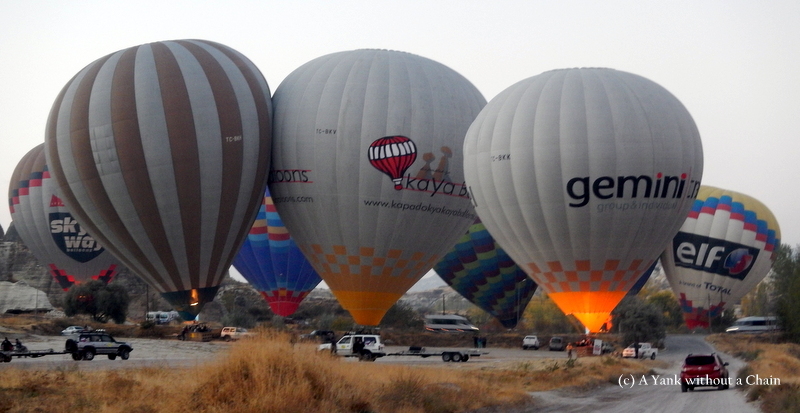 Cappadocia Day 1: Hot Air Balloon Ride! Watching the sunrise over Cappadocia from a hot air balloon! 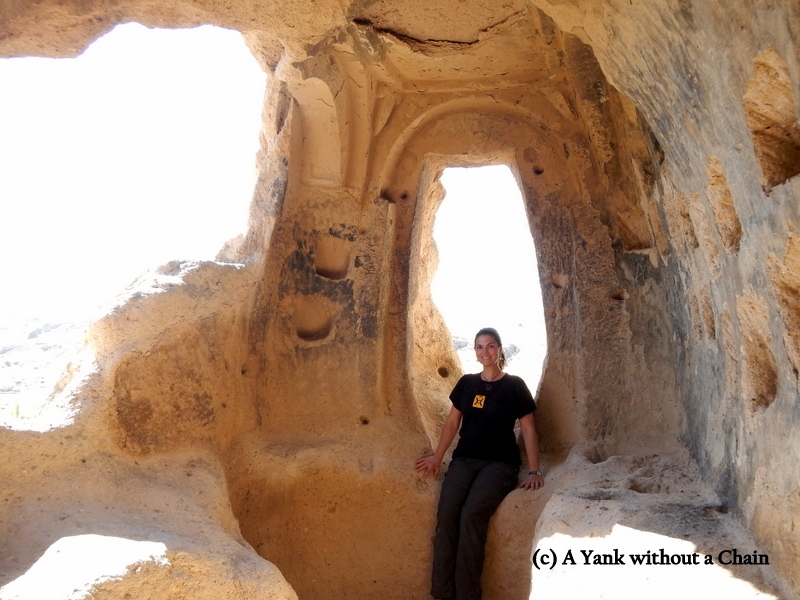 I’d heard so many amazing things about the Cappadocia region of Turkey and I was so excited to finally get there! I debated doing a hot air balloon ride, as it’s never really been a huge interest of mine and it’s pretty pricey at a minimum of $120 for the most budget ride. I finally decided, though, that if I’m ever going to go up in a hot air balloon it might as well be in the so-called hot air ballooning capital of the world, and a couple hundred dollars is worth the experience. Once I made the decision to do it, I then had to choose from among the few dozen companies catering to tourists in Goreme. I had heard Butterfly Balloons, Sultan Balloons and Royal Balloons were good companies, but I decided to price check at a few different agencies before deciding. I happened to wander into an Atlas Balloons agent, who was also selling rides with Turkiye Balloons. I was convinced to go with the latter, more expensive ride (at 140 euro) because I was impressed with the pilots’ minimum 1500 hours experience each, and also the fact that they are a new company so their balloons are in top shape. 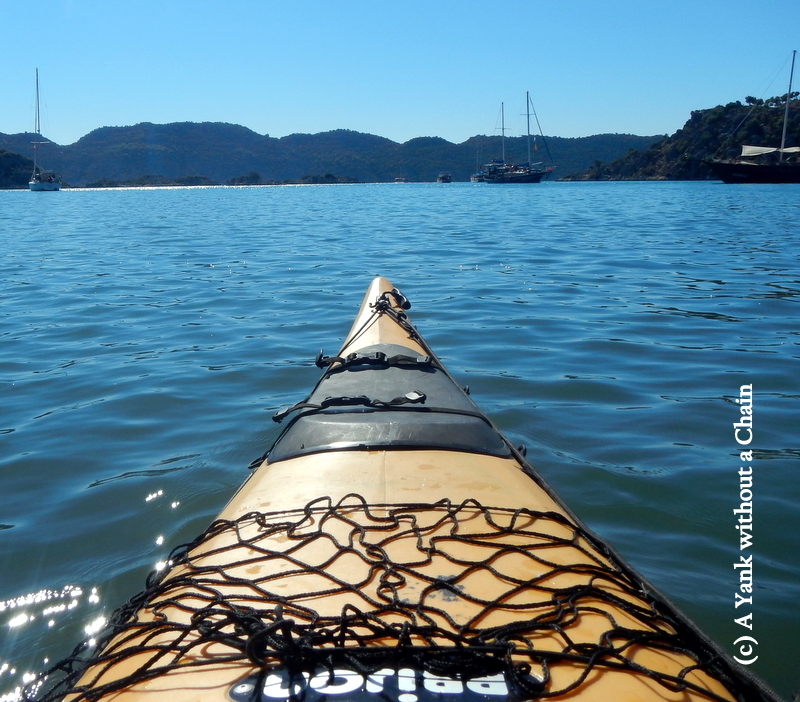 From Datça I took three buses – a 7-hour total journey – to Kaş, which is famous for its sea kayaking around underwater ruins. Kas is much more built up for tourism than Datca and also a bit more expensive. I camped out yet again, this time at Can Mocamp about 2 km outside the town. There were some incredible restaurants along the seafront and I tried some awesome Turkish ravioli and fish dishes.